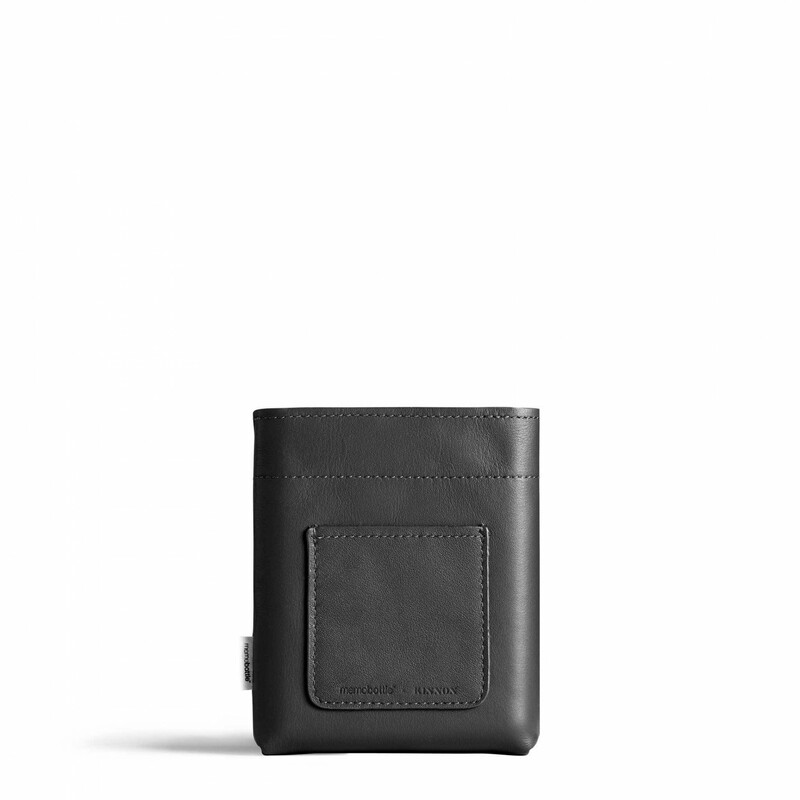 The pocket fits a standard ID or Credit Card. 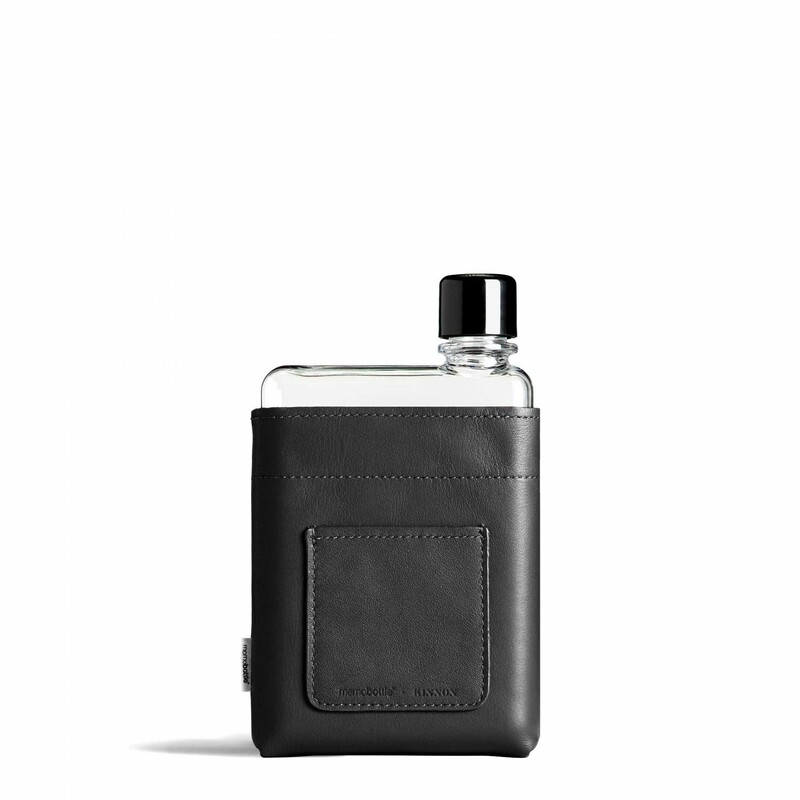 The genuine grain A6 leather sleeve will stand the test of time and improve with age, enabling you to preserve your A6 memobottle™ while adding a touch of designer personality. 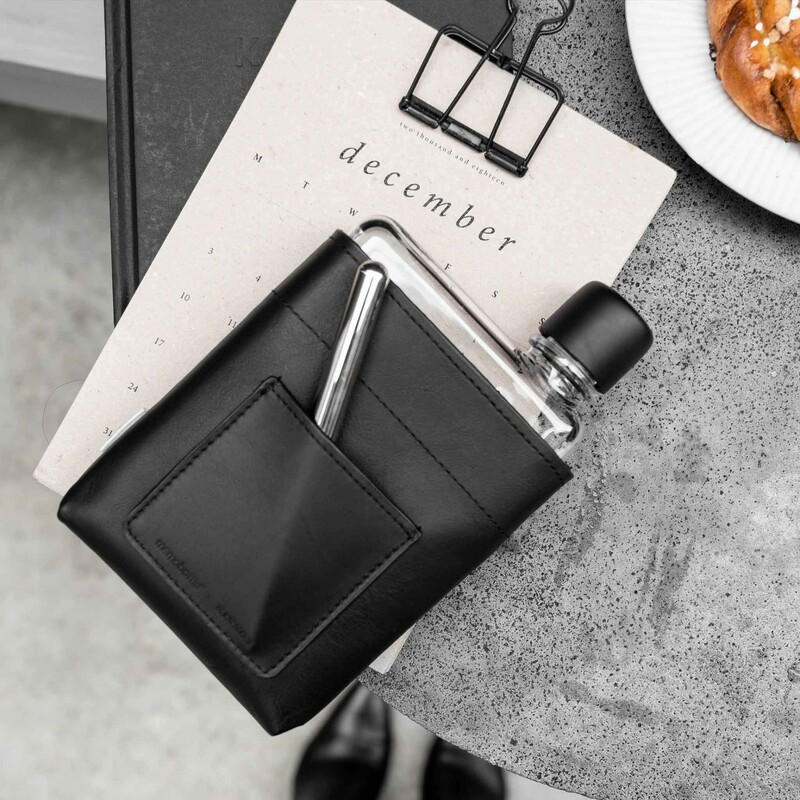 The leather sleeve provides insulation for your memobottle, and with quality stitching and treated edging, will fit your memobottle like a glove. to fit a bank, business or ID card. Please note: This item does not include the A6 memobottle.